just when you started to think your speedy was played, marc jacobs once again decides to step up his l.v. 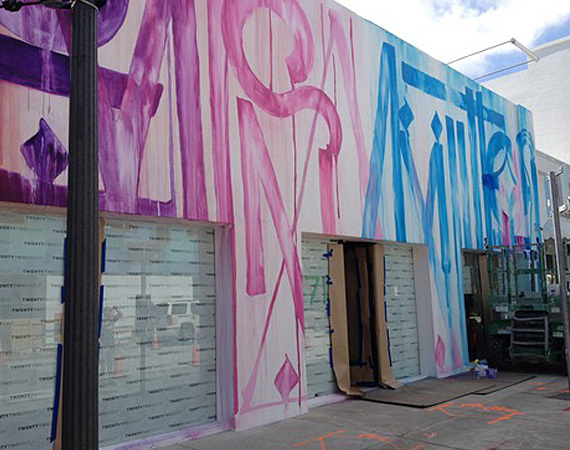 game and join forces with famous street/graf artist RETNA. 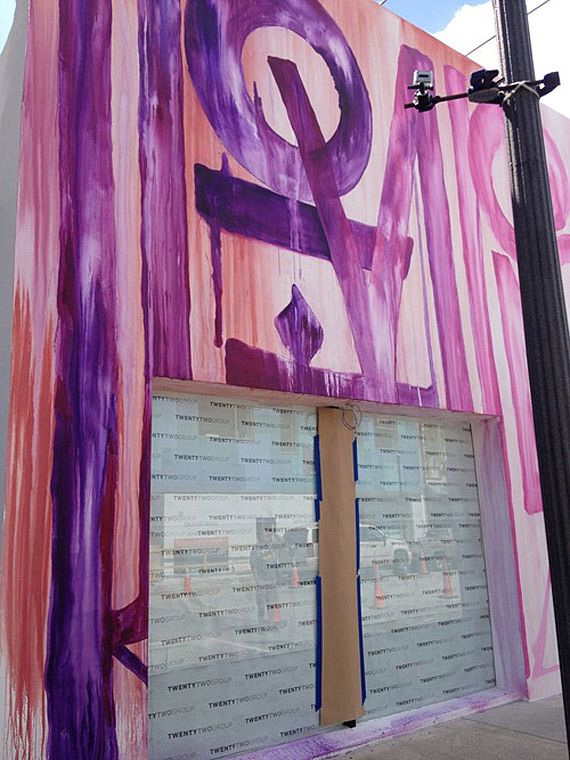 though just rumors as of now, a mural by RETNA on the Miami Design District Louis Vuitton storefront are keeping my hopes high. 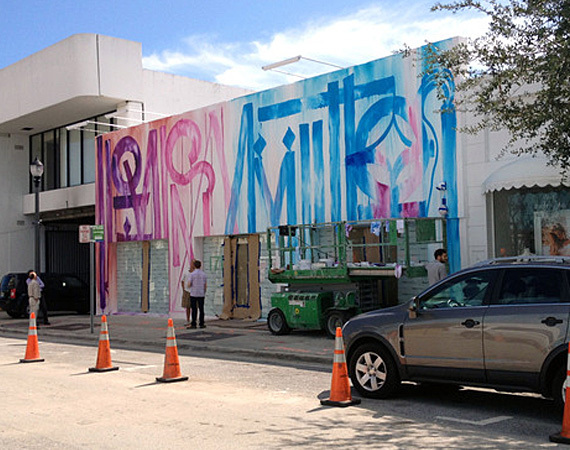 it may just look like lines but really spells out “louis vuitton”! if this collab truly happens and it’s anything like the stephen sprouse collection, i will definitely be on it. crossing fingers!!! p.s. just realized i linked that sprouse l.v. on malleries and kinda really wanna buy it now! ahhhh!